It’s a great time to be a GIS professional. Dramatic changes are taking place in the enabling computing and communication technologies that GIS relies on, and new software is leveraging these changes to evolve and transform GIS and our user community. Esri is working hard and is in the process of releasing many new capabilities in ArcGIS 10.2, such as real-time data integration, online analysis tools, spatial analysis in the cloud, location analytics, new templates and apps, and web story maps for everyone. There are also new capabilities enabling new opportunities for developers. These advances are giving rise to a change in the very way we position GIS, from a software system designed to unlock the power of geographic information to a comprehensive platform that promises to transform your work; your organization; and, ultimately, our world. Portal for ArcGIS becomes a full part of the on-premises infrastructure of ArcGIS. 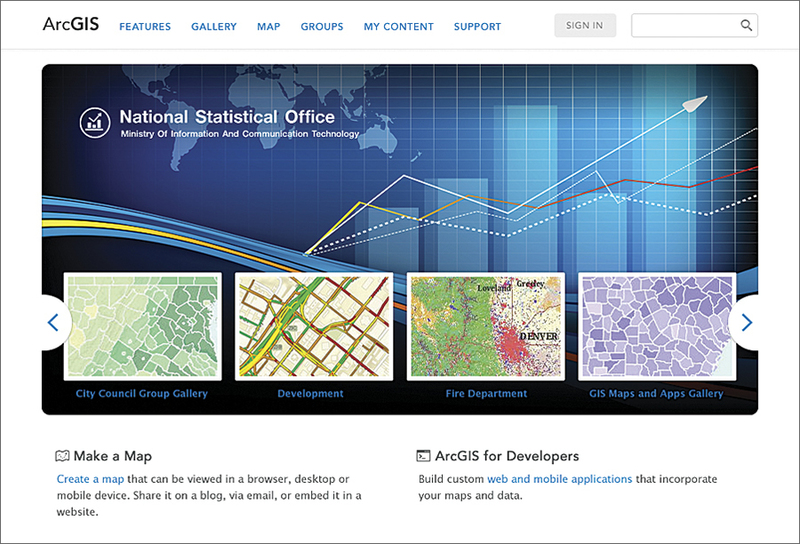 In the past four years, Esri has been significantly developing ArcGIS Online deployed in the public cloud. At 10.2, this technology has been engineered into a fully supported product that can be easily deployed on premises and integrated with users’ existing technology. 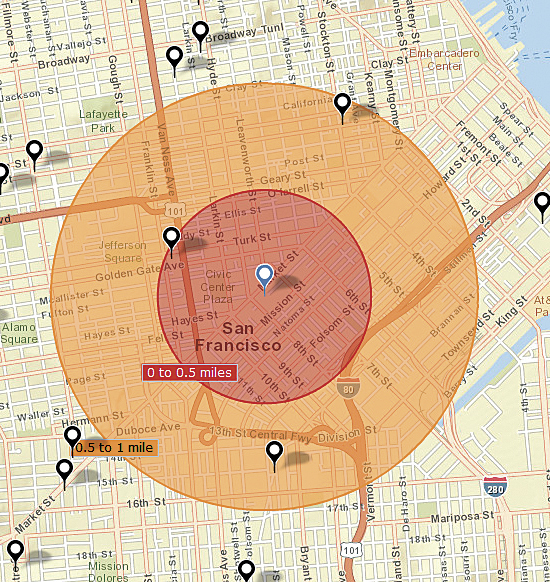 Location analytics delivers the geographic context to major business intelligence systems. Location analytics delivers the geographic context to major business intelligence systems. 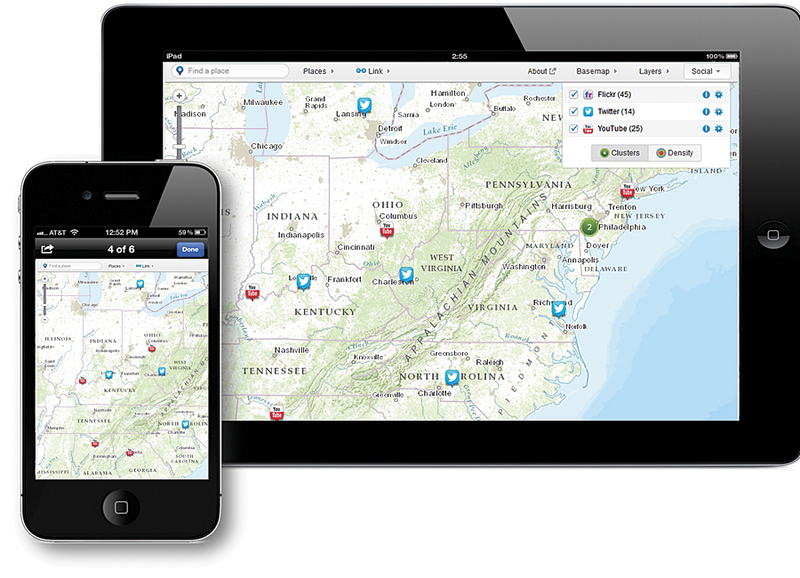 Collector for ArcGIS is an app for Apple and Android devices designed with field crews in mind. It’s used to capture and update both tabular and spatial information via smartphones using the built-in GPS capabilities of the device or by tapping on the map. Data captured using Collector for ArcGIS can be displayed immediately in Operations Dashboard and ArcGIS Online web maps. Custom variables can be created by defining data ranges, such as “adults aged 55 to 75,” to refine and focus analyses and color-coded maps. ArcGIS includes new, improved integration with an organization’s enterprise systems, as well as security enhancements, such as federated authentication for ArcGIS Online and public key infrastructure (PKI) authentication for Portal for ArcGIS. Federated authentication allows organizational account administrators to configure ArcGIS Online so that users can sign in using their enterprise user names and passwords that already exist within their organizations. This eliminates the need for multiple user credentials for separate applications and provides significant convenience to users in that they don’t need to create and remember new user names and passwords. This type of authentication takes advantage of Security Assertion Markup Language (SAML), an open standard for exchanging authentication and authorization data between end users, identity providers, and service providers. For example, an organization can set up ArcGIS Online accounts to leverage the enterprise Windows Active Directory users, which allows the users to sign in once (aka: single sign on [SSO]) to access many different software systems. PKI authentication involves using pairs of public and private keys and a certificate authority to verify online identity. Security administrators use PKI to encrypt communication and transactions so that the information is only readable by authorized users and applications with valid digital certificates. For example, an organization can use PKI authentication to create tighter integration between on-premises implementations of Portal for ArcGIS; ArcGIS for Desktop; other ArcGIS applications; and the organization’s enterprise security, data, and services to produce highly secure environments. 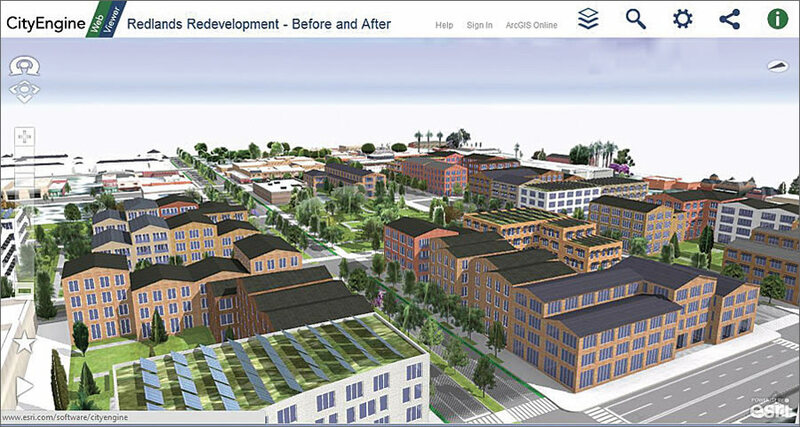 ArcGIS also opens up tremendous opportunities for developers to build integrated solutions for solving their customers’ problems while growing their own business. ArcGIS is becoming part of everyday worklife for many more people around the world. They’re using it to make better decisions and boost productivity. The work of GIS professionals is also expanding and growing more important. GIS-based maps and geographic analysis are in high demand and are used in nearly every industry to strategize, respond to events, and engage with customers and citizens.